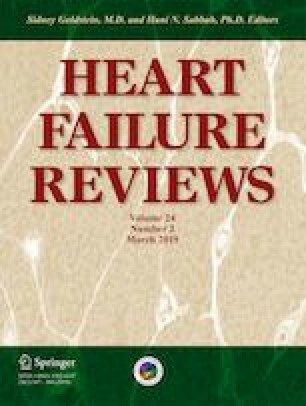 Mitochondrial dysfunction is widely recognized as a major factor for the progression of cardiac failure. Mitochondrial uptake of metabolic substrates and their utilization for ATP synthesis, electron transport chain activity, reactive oxygen species levels, ion homeostasis, mitochondrial biogenesis, and dynamics as well as levels of reactive oxygen species in the mitochondria are key factors which regulate mitochondrial function in the normal heart. Alterations in these functions contribute to adverse outcomes in heart failure. Iron imbalance and oxidative stress are also major factors for the evolution of cardiac hypertrophy, heart failure, and aging-associated pathological changes in the heart. Mitochondrial ATP–binding cassette (ABC) transporters have a key role in regulating iron metabolism and maintenance of redox status in cells. Deficiency of mitochondrial ABC transporters is associated with an impaired mitochondrial electron transport chain complex activity, iron overload, and increased levels of reactive oxygen species, all of which can result in mitochondrial dysfunction. In this review, we discuss the role of mitochondrial ABC transporters in mitochondrial metabolism and metabolic switch, alterations in the functioning of ABC transporters in heart failure, and mitochondrial ABC transporters as possible targets for therapeutic intervention in cardiac failure. We thank the Director, Rajiv Gandhi Centre for Biotechnology, for providing the facilities and funding the study. We thank Ms. Nimmy Francis for the help in the preparation of summary figure and Mr. Aneesh Kumar A for the contribution in the reference style of the manuscript. VK, TRSK, and CCK designed and directed the overall project. VK wrote and drafted the manuscript. CCK revised and edited the manuscript. We thank the Department of Science and Technology-Science and Engineering Research Board (DST-SERB), Government of India for funding the study. The study was supported by grants (CO/AB/006/2012) from DST-SERB, Government of India and Rajiv Gandhi Centre for Biotechnology (RGCB), Trivandrum, India.